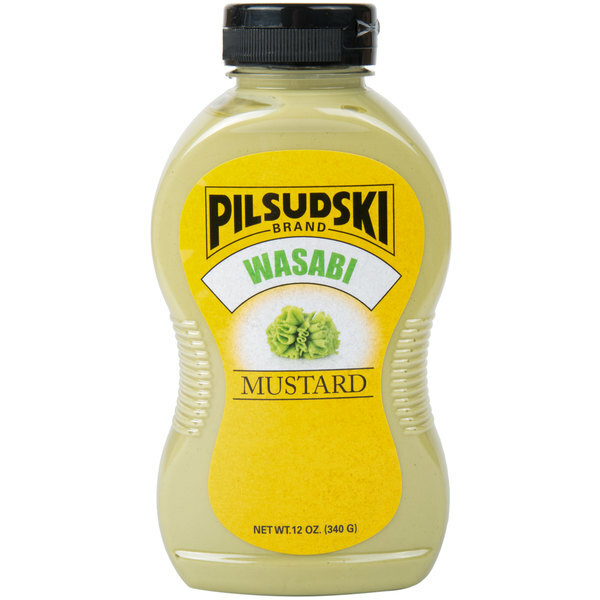 Take your mouthwatering burgers and sandwiches to a whole new level with the help of Pilsudski's wasabi squeeze mustard! This gourmet mustard blends premium mustard seed with the heat of spicy, zesty wasabi, giving it depth and a distinct flavor profile without being too overpowering. Drizzle atop your signature burgers and hot dogs, or use to create sauces, perfect for coating your sea scallops or salmon fillets. You can also use this mustard in salad dressings to offer a signature Asian-inspired salad! Customers won't be able to get enough of the award-winning flavor this premium condiment will add to your foods. 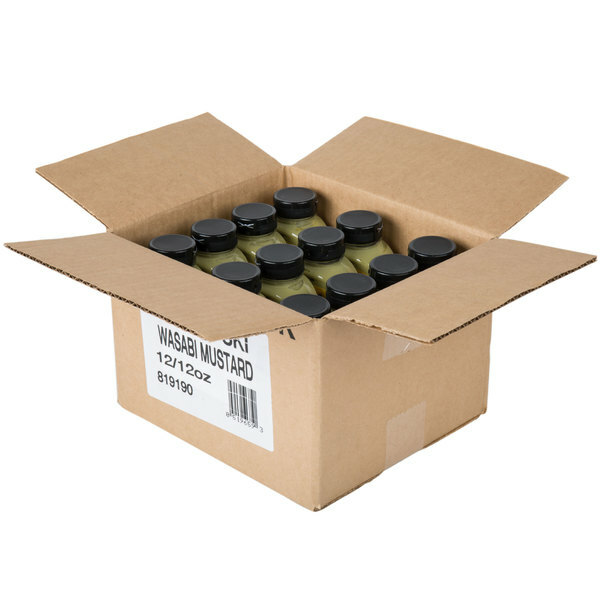 This mustard comes in a curved bottle with ribbed sides to ensure a firm grip and added control. The bottle is flexible, allowing the user to easily squeeze it and add the desired amount of mustard to an assortment of dishes. Keep it on hand in kitchens or place it in condiment caddies on tables to give customers a way to turn up the heat on their entrees. Based in Southeastern Pennsylvania, Pilsudski is dedicated to producing high-quality, great-tasting condiments and food products. They are known for using family recipes to create flavorful sauces, dressings, and dips that will tantalize taste buds. 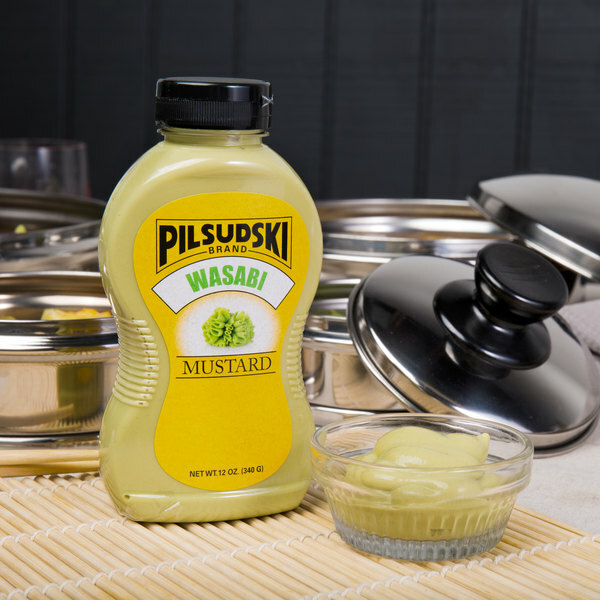 Add bold flavor to any dish with the help of Pilsudski!